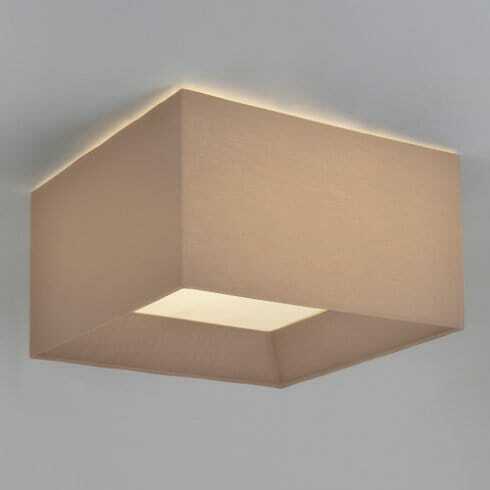 Astro Lighting Bevel 550 features a square oyster fabric shade that is designed to accommodate the Bevel 4-way ceiling plate from Astro Lighting . The product code for this Astro Lighting ceiling fitting is 4105. The Bevel range is also available as in a round design and in white or black finish. smaller options are also available to order from our website or by contacting our sales team.